Vest designed for women, made of natural fox fur. 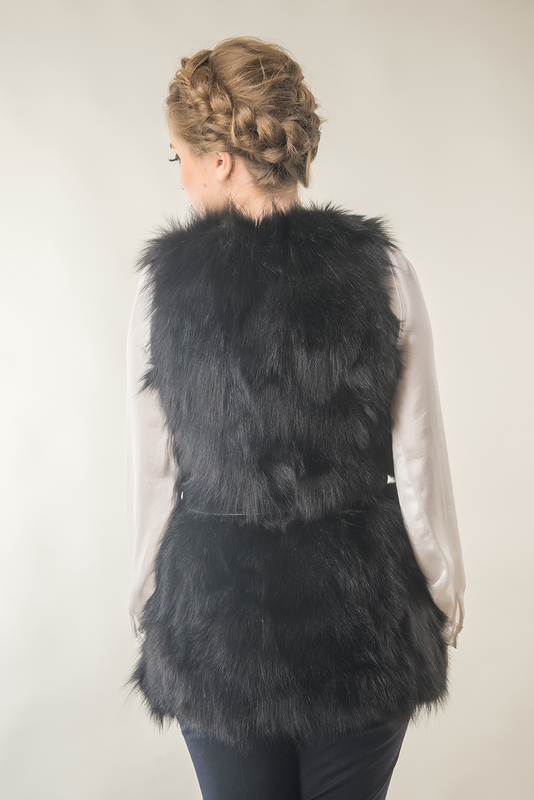 On the outside this vest is made of fox fur pieces, sewn carefully, for durability and a perfect. The texture of this fox vest is smooth, feels like a treat, and a good choice for any event or time of the day, with a simple cut and casual style. The jacket is closed by clips, and a matching nappa leather cord as an accessory. The interior of the vest is lined; this liner providing all the comfort needed. This model of natural fox fur vest can be ordered in the color of black, which is very easy to match any outfit.